2018 was certainly a great year at MCCLA! MCCLA Board and Staff thank our extended family of artists, collaborators, participants and supporters. We wish you happy holidays and a New Year full of wonderful surprises, love and peace. El 2018 fue ciertamente un año maravilloso en MCCLA! La Mesa Directiva y el Personal agradece a nuestra familia extendida de artistas, colaboradores, participantes y contribuyentes. Les deseamos una felices pascuas y un nuevo 2019 lleno de agradables sorpresas, paz y mucho amor. 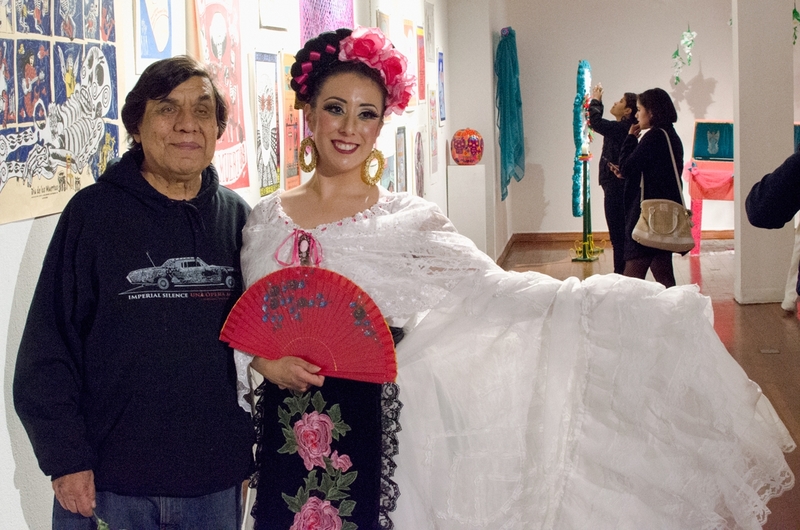 The Mission Cultural Center for Latino Arts (MCCLA) was established in 1977 by artists and community activists with a shared vision to promote preserve and develop the Latino cultural arts that reflect the living tradition and experiences of the Chicano, Central and South American, and Caribbean people. We invite you to continue your support of MCCLA in 2019! ¡Los invitamos a continuar su apoyo al MCCLA en 2019! MCCLA would like to thank the family and daughters of Jose Saucedo, who passed in June 2018, for their generous donation of musical instruments and equipment. Jose Saucedo, a long time community musician and artist, was a long time participant of the Center’s programs, Carnaval SF and several other Brazilian and Latin bands for whom he played his bass. Jose so loved the Center that he expressed his interest months before his passing, and made significant his generous contribution. Heartfelt thanks to Jose’s daughters Gabriela and Juliana. On July 29th, a Memorial for Jose was held at MCCLA by family, fellow musicians and friends. Through love, friendship and music, Jose Saucedo brought the community together and left his love in our hearts. René Yañez, visual artist, co-founder of Galeria de la Raza, mentor of many artists, and great collaborator of Mission Cultural Center, passed away on Tuesday, May 29th at 75 years old. He will be always remembered by the MCCLA Family not only for events like ROOM FOR THE DEAD in 1997 and many other participations but also as a friend, community activist with a creative and active mind, defender of spaces for the arts and a cultural institution in San Francisco’s Mission District. Rest in peace artist Rene Yañez.